The perfect poetry book to dip in and out of! All the poems you’ll ever need for Reception and Key Stage 1. How many poems does a kid need? What kinds of poems? Well – don’t waste time puzzling it over. Just grab a copy of The Works! Poems of every type to please every child, not to mention teachers who need quality poems to teach in class. There are playground rhymes, action rhymes and best-loved nursery songs. There are counting rhymes, tongue-twisters, riddles and poems to perform. 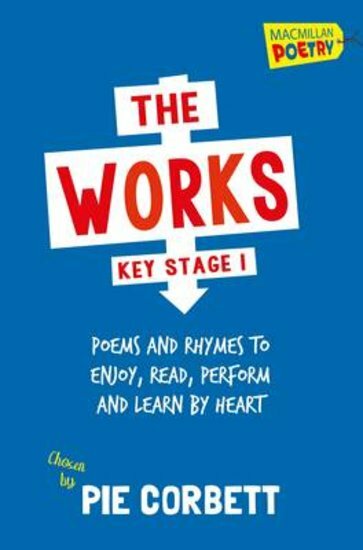 Fantastical poems, funny poems, emotional poems, famous rhymes by top authors, animal rhymes, family rhymes: what more could you possibly want?